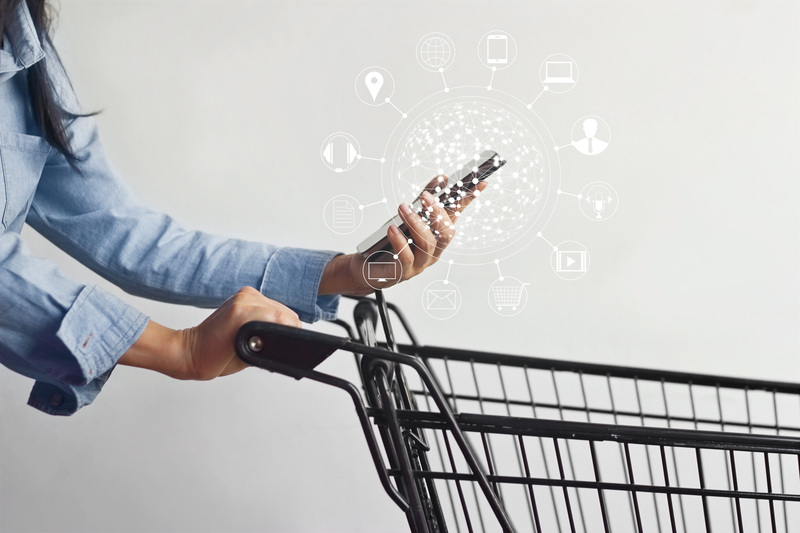 E-commerce brands of all shapes and sizes are revolutionizing the marketplace by implementing comprehensive and innovative omnichannel strategies. Moreover, their customers are feeling the shift. So what is the omnichannel experience? It sounds like a fancy term that is more a marketing buzzword than anything else. In this sense, it just makes us feel old. This maybe appropriate given how the omnichannel experience is changing the customer experience down generational lines. While older generations are interacting with products in a certain way, the youngest generation now with income to spare, Generation Z, is quickly changing the ways they interact with brands and how brands are responding. The omnichannel concept is incredibly broad. It refers to the basic idea that companies have multiple ways in which a customer can interact with a brand to buy a product or service. They can reach their customers through a physical storefront, a web store, an app, or a presence on a major third-party seller such as Amazon or eBay. It also encompasses different types of experiences in one source. For example, Bank of America’s app can allow customers to book bank appointments, set up monthly payments, deposit checks, and more. The experience is varied and comprehensive- precisely what good Omni-development should be. The omnichannel experience can often be simplified to physical and digital. In other words, the experience refers specifically to the cooperation and communication of these two historically very different approaches to sales. The new strategy towards the omnichannel experience seems to be both a substantial presence in the digital and the physical. Brands often need a broad and expansive online marketplace as well as a physical store. The idea that you can be one or the other, physical or digital, is indeed still viable. However, it seems that customers are expecting a substantial presence in not just one or the other, but both. This approach is a pretty significant shift that could signal new ways brands develop their foothold in their industry. The customer experience for someone over the age of 25 or so is slightly different. Millennials witnessed the development of e-commerce. While they are mostly comfortable with it, there is still a substantial separation between an e-commerce provider and a physical retailer. Few are merging Etsy with Wal-Mart. There is also some discomfort in what apps should be doing. They no longer need to do one thing. Every major company should have one, and they should be capable of doing a lot. This division is far subtler with generation Z. Converting from one part of the customer experience to another is not just a perk- it is an expectation. If an app user can’t also purchase products as well as sell their own, they may find an app that can. While this is just one small example, it illustrates the potential complexity of the omnichannel experience. In regards to physical and digital, if a customer wants an item from a physical store, they can go and visit. However, what is becoming increasingly common is that a customer searches the e-commerce shop first. They see where the item is in stock, if at all. If they can’t find it, they can order it to either their home or the location of the business they select. The type of conversion we illustrated here is common with many big-box retailers, like Target, Barnes N Noble, and more. However, it is still not yet familiar with mid-sized retailers. Indeed, many e-commerce providers just don’t have any physical presence at all. While they can develop one, or expand their channels in the digital space, they are missing an opportunity that could become quite valuable. There are other ways brands have described omnichannel. Some see it as a seamless ability to deliver a strong customer experience from different touch points, allowing customers to easily convert from one to the other if they so choose. Furthermore, customers want actual experiences. We see this in Amazon’s e-commerce shop. Touted for its thorough recommendations and acclaimed for its customer service, Amazon has a growing omnichannel strategy. Their consideration for retail stores only further cements this idea. Regardless of what you think of Amazon, they are building an intriguing experience around shopping on the site. Disney is also crafting an incredible omnichannel experience, and they have been for years. Their omnichannel infrastructure should be heralded as the linchpin of omni-development. Users can book their entire experience through an app, from the restaurants they want to dine at to the entertainment they want to see. It could be online or handled at a Disney Store. Cash comes in from many different sources. The omnichannel experience, at least in the eyes of the customer, is about options. Can I order an item to a store? Can I find the same thing cheaper on a third-party provider? Is there a local shop which carries this specialty product? If everything is digital, then what can I do? Can I book appointments as well as deposit checks, like what Bank of America is doing through their mobile and desktop apps? Customers want options to help shape their consumer habits. While this could be a generational divide, it doesn’t have to be. If businesses want to grow their brand, they need to consider synchronizing their channels and expanding how they provide their product.